One cool thing about this years PGA Championship 2010 (and no, it’s not the PGA Championship 2010 iPhone app) is that you can actually watch the PGA Championship 2010 live online. Just visit this link > you’ll have to register your email, etc… > watch an ad play > and then you’ll be watching live coverage of the PGA Championship on your computer. This is absolutely free, and there are lots of supporting links on the page such as the PGA Championship leaderboard, latest news, and more. 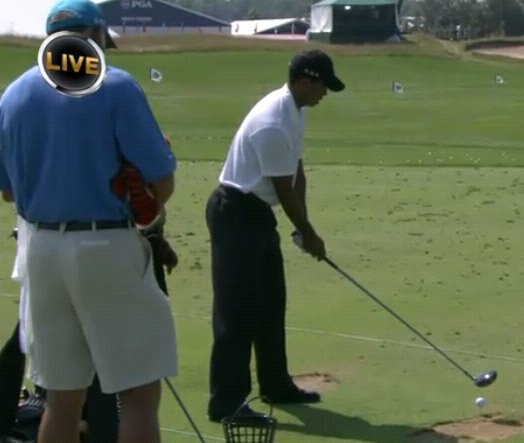 Although, I’ve been watching it now for about 20 minutes or so and all they’re talking about is Tiger Woods. Forget about the people who everyone things might win this thing – everyone is laser focused on Tiger Woods. Literally, it’s nearly everything they’re talking about.